Take advantage of an education discount and save 30% off your copy of Camtasia. 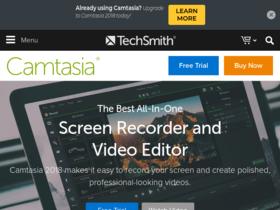 Act now and try Camtasia completely free from Techsmith. Buy more, save more with up to 50% off at Camtasia. Check out Camtasia online for their latest special offers.